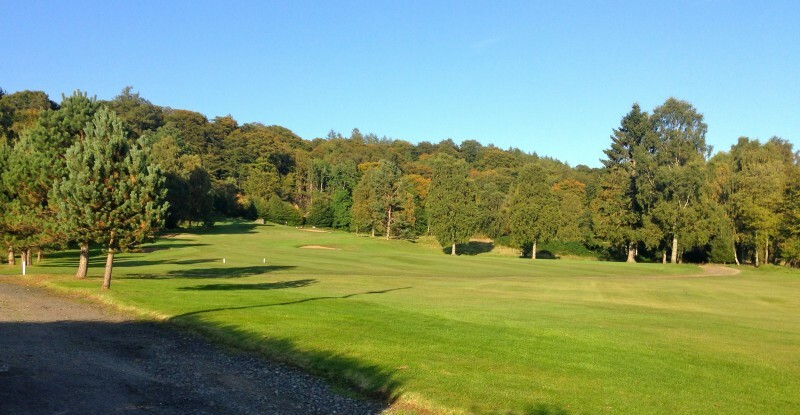 #14: Callander Golf Club: A Gem in the Trossachs! 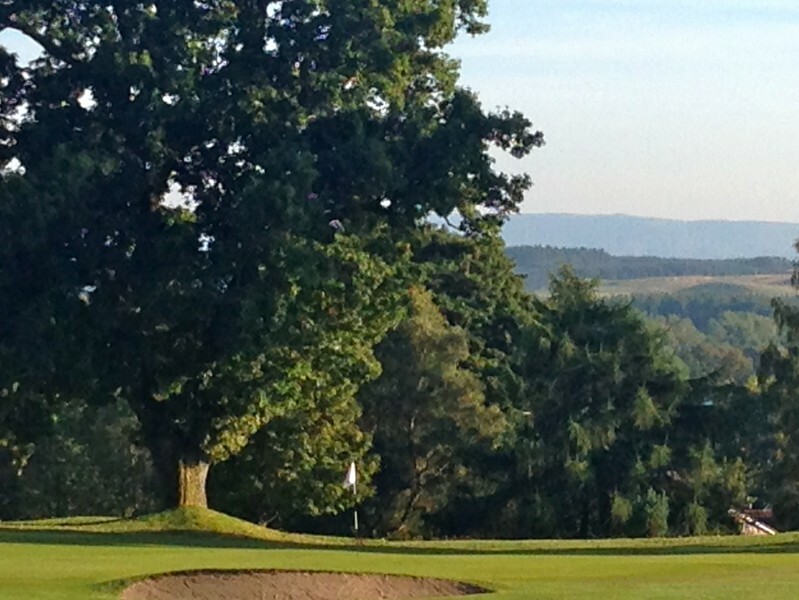 You are here: Home › Blog › #14: Callander Golf Club: A Gem in the Trossachs! The day was so lovely here in central Scotland that I felt the words of John Muir speaking to me, 'The mountains [and the golf course] are calling, I must go!' Okay, so I changed the words a bit, but I still heard the call of both on this glorious day. I think that is why I ended up at Callander Golf Club. 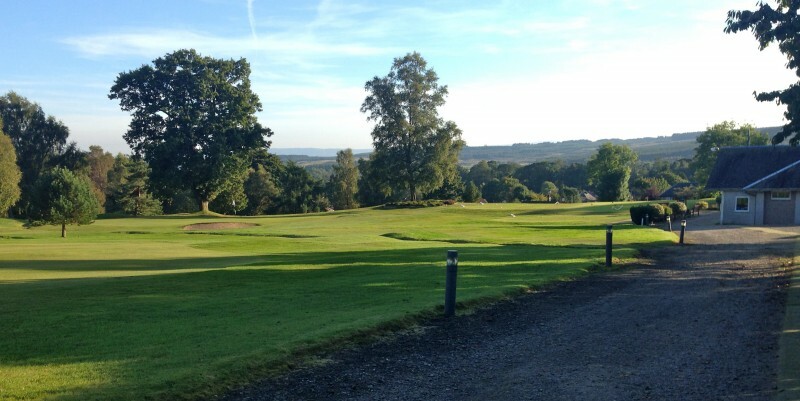 Callander is a breathtakingly, spectacular course on the outskirts of the town of the same name. 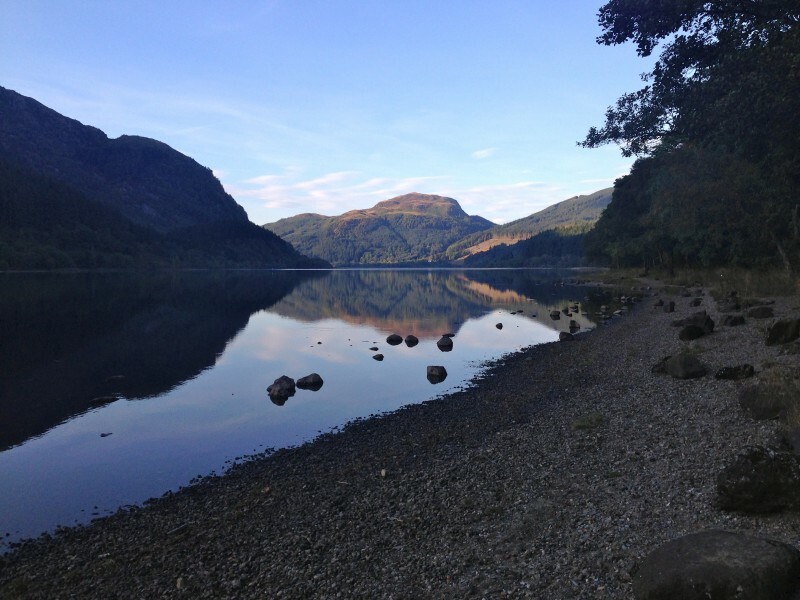 It sits on the edge of the Loch Lomond and Trossachs National Park and in the heart of Rob Roy country. And it was simply amazing. I forgot my camera in the car, so I was forced to take just these few pictures afterwards. It is bad news and good news: the bad news is that I will have to paint you the picture of the course with my words; whilest the good news is that I shall just have to go back and play again! So here goes, I will do my best. Callander Golf Club gives a warm, Highland welcome. The club is 125 years old this year and has a great deal to celebrate. It was laid out originally by Old Tom Morris and it's truly a testament to his brilliance as a course designer. There is tremendous challenge in the Par 3's and they seem to grow in stature as you play your way around. The Par 3's seem to rise to a crescendo at final Par 3, the signature hole: the 15th. This masterpiece is a called 'The Avenue'. It is a short par 3, whose narrow fairway is lined by trees on either side. The mountains are in their splendour and are seemingly 'framed' just behind the green. One feels you are looking at a picture postcard, rather than real life. At only just over 100 yards, and protected by bunkers around the green. It is quite spectacular and daunting at the same time. I was thrilled to come away with a 4 on this little gem. If you land in the wrong place, it could easily be a whole lot more! As the holes go by, the course itself gets stronger and the scenery more breathtaking. It is particularly beautiful at this time of year with the turning of the leaves. The hillsides seem alive with splashes of orange and yellow dabbled with spots of deep red throughout. This was all juxtaposed bright and deep greens of conifers standing tall next to dissiduous trees stubbornly holding onto their green leaves. And today, drenched in warm sunshine, the air was crisp and clean adding to the brilliance and ambience. It seemed the Trossachs must also have known it was 'Ladies Day' at Callander Golf Club. So as a special treat, they put on a show: and, what a performance! I am pleased to report that there was a multitude of women playing the course today and then having lunch in the clubhouse after their round. From what I can gather from the lists in the Ladies Locker Room, they have a very active Ladies Section with about 40 odd members. They seem to play regularly at the club and around the surrounding area, taking advantage of a generous network of reciprocal rounds. After a delightful round, I was able to come back and take a few pictures. This is the view up the first, and the green is tucked just behind the far bunker. You can just barely make out the flag. But trust me, its a fantastic hole! Its a gorgeous loch located between Ben Ledi and Ben Vorlich, two of the most famous mountains in the region. The loch is 3 miles long and 44.5 meters deep: as such it is freezing!!! It is so beautiful I almost thought I was in New Zealand again ... almost! Callander is a great town, too. Quaint, but with a lovely upbeat energy, so it seems to say, 'I am just the right kind of busy!" I am definitely coming again the first chance I get: I think you should too! Haste ye here. Golf Notes: Callander is not a particularly long course, but it is fun. It is 4470 from the yellow tees, which all visitors are requested to play from. It has a par of 64. Both trollies and golf buggies are available for hire.